Having a comfortable and complete home with all amenities is everyone's dreams, In our daily life routine. home where the place to rest. The safety of family members is most important emphasized in the selection of a place of residence. So, to choose a place to stay, we need to choose a safe place adjacent to security services such as security controls. total of 11 type different SQ.FT. will be develop in DK Impian. There will be three SQ.FT. type of sample showroom at DK Impian show gallery just 100 meter from the site. 646 SQ.FT. (TYPE 1D), Dual Key which 323 SQ.FT. each room, two individual Toilet, Kitchen Bed and Study table. Fortable Sofa bed to safe space. Two Different Kitchen in two room, Fortable Table as study table or Dining table. 635 SQ.FT. (TYPE 2B), two bedroom and Bathroom. A kitchen and Living hall. 592 SQ.FT. (TYPE 1B), Dual Key which 323 SQ.FT. each room, two individual Toilet, Kitchen Bed and Study table. (Room 1) Fortable Sofa bed to safe space. (Room 2) Fortable Sofa bed to safe space. 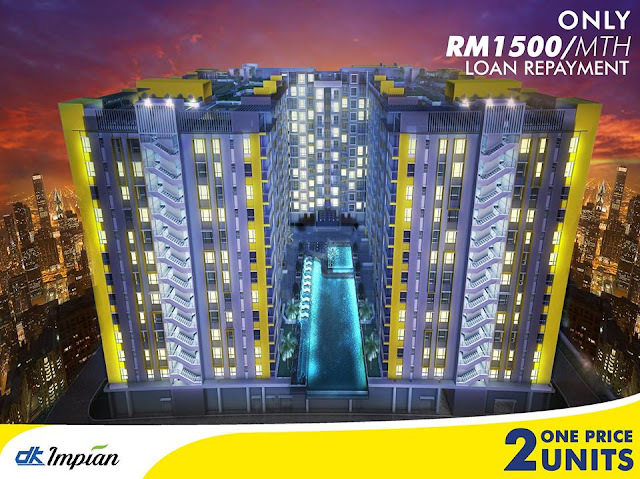 If you are looking for a balance between affordability and location, DK Impian is the perfect solution for your housing needs. 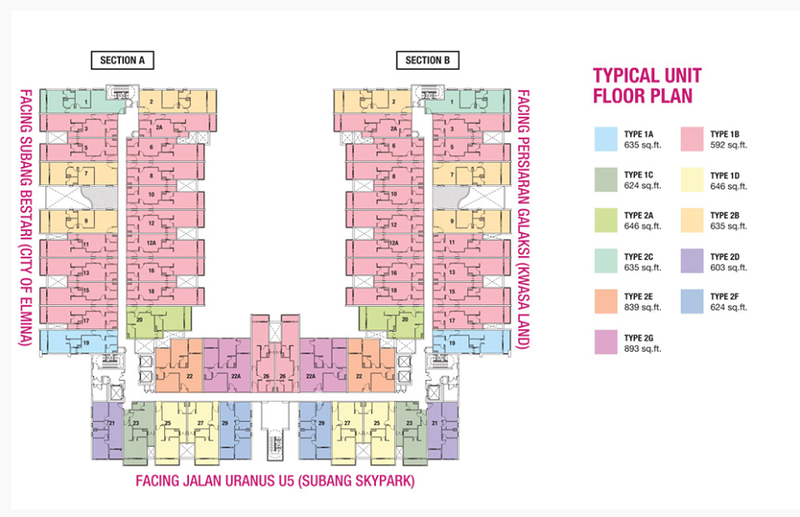 Next to Kota Damansara which addresses your discerning concern on affordability issue. With its medium-to-high entry price point, this project appeals not only to first-time home buyers but genuine investors as well. Merely minutes away from Kwasa Sentral MRT station, Subang Skypark KTM station, Rapid KL Kwasa Land and Sg. 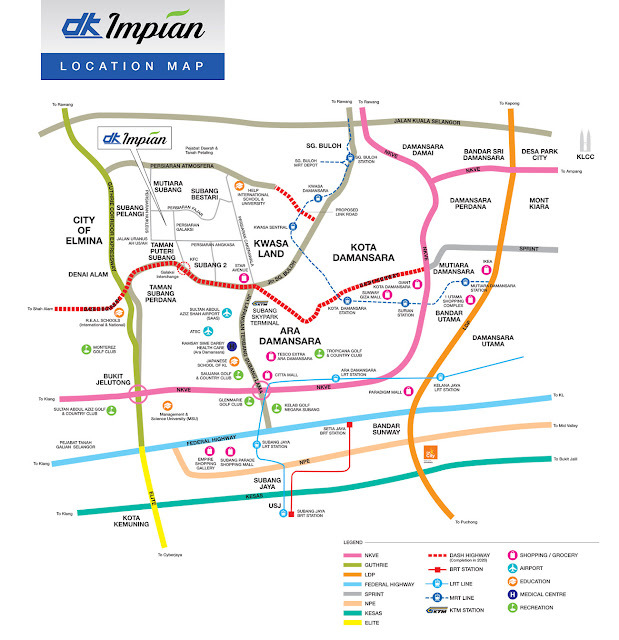 Buloh KTM station, DK Impian is accessible by few major highways such as Guthrie Expressway, Elite Highway, Jln Sg Buloh and upcoming DASH highway that will connect the Eastern and Western part of Klang Valley. HELP University and International School alone encompasses approximately 13,000 students. This goes without saying that DK Impian is truly an enviable location and definitely a wise investment choice not to be missed! SOHO units in DK Impian come with contemporary modern design which will set a new standard in affordable compact living. Ranging from 590sq.ft - 896 sq.ft., purchasers are given flexible options to choose from dual-key units to 2 & 3 bedrooms. Each unit is also designed to complement your living with fully-fitted furnishing, sofabed and retractable 3-in-1 table which will provide a refreshed dynamism to your lifestyle living. With dual-key layout which shares a single entrance, this modern layout addresses today's younger generations living lifestyle. While it’s private yet communal at the same time whereby one room acts as a living space and the other serves as working studio, the homeowners can feel a balance of space which indirectly strikes a balance between living and working. More so, for younger purchasers who value work-life balance. For the economical purchasers, they can choose to rent out the other room as a source of passive income.